Originally published on Sustainable Post. 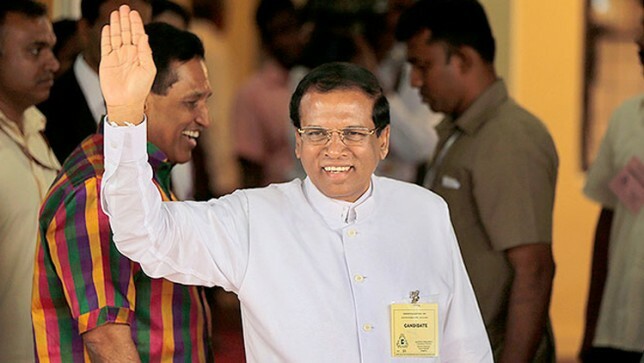 Sri Lanka's newly elected President Maithripala Sirisena announced Friday that the import of the World's most used herbicide glyphosate will be banned with immediate effect. The release of already imported stocks has also been stopped. Sirisena, a farmer and ex Health Minister, stated that glyphosate is responsible for the increasing number of chronic kidney disease (CKDu) patients in Sri Lanka and added that the move would protect the Sri Lankan farming community. Watch the videos "Mystery in the Fields" and "Cycle of Death" for 5 minute documentaries providing additional background information on afflicted areas around the world. Sri Lanka's ban comes after two scientific studies led by Dr. Jayasumana showed that drinking water from abandoned wells, where the concentrations of glyphosate and metals are higher, as well as spraying glyphosate, increased the risk of the deadly chronic kidney disease (CKDu) by up to 5-fold. It also follows the recent World Health Organization announcement that glyphosate is a probable human carcinogen. Sri Lanka did ban the sale of glyphosate herbicides in March 2014 but this decision was overturned in May 2014 after a review. The decision by Sri Lanka's new President however has huge significance following the latest WHO report on glyphosate. Sri Lanka now becomes the second country to fully ban the sale of glyphosate herbicides following El Salvador's decision in 2013, also taken due to the fatal CKDu disease. Bermuda has also put a temporary ban on glyphosate imports and is holding a review.